As a retailer, you prioritize providing a positive in-store experience for your customers. You likely focus on key areas like an intuitive store layout, sufficient staffing, and eye-catching product displays to best serve your clientele, but don’t overlook the role of technology in the customer experience. If you haven’t already, consider strong in-store cellular connectivity as integral to a great customer experience. Modern shoppers rely on making calls and sending data while they browse through your store, perhaps to get an opinion from a trusted friend or compare prices with online retailers. Heavy use of the cellular network in your building from customer devices can overload your network. Even Wi-Fi-enabled stores are susceptible to connectivity issues and most shoppers eschew in-store Wi-Fi access altogether over security concerns and cumbersome passwords. With a commercial cell phone signal booster, or passive distributed antenna system (DAS), in your store you can achieve enhanced connectivity for both your internal systems and your customers’ devices. From soliciting purchasing advice, to checking online reviews, a strong, reliable cellular connection creates a more rewarding in-store experience. Let’s set the scene: a customer browsing your sporting goods store for a tent to take the family camping looks at one item, then another, and compares them side-by-side. The customer pulls out their phone to check online reviews but experiences slow loading speeds. As an alternative, the customer snaps a picture with the top specs to send to a friend, a trusted outdoor enthusiast, for purchasing advice. However, due to an unreliable cellular signal in your store, the photos don’t get through and without the friend’s feedback, the customer leaves the store without purchasing the tent. In a store outfitted with a passive DAS, that customer would have easily connected with their friend and received feedback on the potential purchase. Without it, the customer walked out and you missed a sale. Cellular connectivity also allows customers to compare prices against your competitors. While this may immediately seem like a drawback, the opportunity to match a competitor’s price can lead to a sale. Better yet, if your store already offers the best price, strong connectivity gives the customer a chance verify your competitive prices and increases the odds of in-store conversion. Additionally, as digital marketing becomes increasingly important in the competitive retail sector, in-store wireless solutions allow customers the opportunity to access digital apps and offers while shopping. Once a customer commits to a purchase, don’t let an unreliable cellular signal or fixed line connection come between you and valuable revenue. A fast and reliable point-of-sale system gets customers checked out quickly and securely and leaves them with a positive impression of your business. A slow or unresponsive system, and the associated lines and waiting, can cost you a sale and your reputation. Lack of a secure internet connection can hinder credit card validation and increase fraud rates. A cellular backup can both alleviate security concerns and reduce costs over solely using a fixed line connection. Modern consumers rely on consistent cellular service regardless of where they shop. Important phone calls and text messages are sent and received all hours of the day. 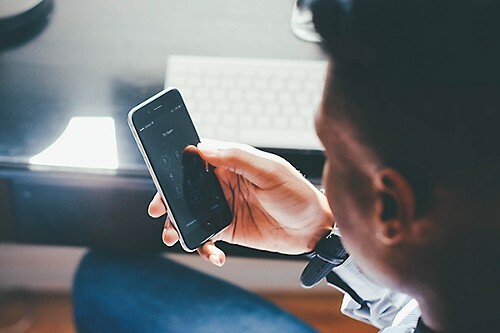 A dropped call or failed text message might seem like an insignificant problem in a retail setting but good connectivity could keep a customer in your store. What’s more, clients waiting in a checkout line want to quickly review their email and text messages to pass time, so it’s essential to provide centralized solutions in areas with the most cellular demand. Do you want to learn how WilsonPro’s innovative cell phone signal booster systems can help improve your retail sales? Visit our retail solution page, or download our case study to learn how a prominent New York City department store achieved 100% cellular connectivity without compromising the customer experience.